Well Christopher, first of all would like to thank you for sharing the great deal here. I think spending less than $2 is worth it having all of my data (I can say almost all) backed up at that price. However, due to reason where Megaupload was recently shutdown by FBI without giving the users any chance to retrieve back their data, committing all your backup data to the cloud is still some risk of losing it. If I were to really backup everything on the cloud, I will also ensure that I have another backup copy on my local hard drive. When putting data on the cloud you must make sure that the company providing the service is both solvent and reliable of which we are both. I think drawing comparisons between legitimate cloud storage companies and those who allow allegedly allow illegal fire sharing services is somewhat wide of the mark though. Your advice of keeping files locally as well as on the cloud is somewhat more prudent and although I am a huge advocate of the cloud I think this hybrid approach offers maximum protection and flexibility. Thanks for considering our services and if I can be of further assistance please let me know. I’ve used cloud backup services for a while now, and I agree with all the points in there. As far as losing the data goes, that of course depends on your choice of providers. I doubt that space from Amazon S3 will be gone anytime soon! But I also agree that it’s still important to keep hard copies. Interesting article! I try to learn about cloud computing as much as I can – this is the future! I just started using the “cloud” AND i love it. It has made so many things easier and more accessible. The biggest barrier to online backup and cloud computing is Upstream speeds, especially in the non-business environment. We all read of great download speeds (like Virgin Media offering 100Mb) but upstream (uploading) is still appalling. A typical Virgin Cable customer will only get about 2Mb upstream and 30Mb downstream. ADSL customers on 8/16Mb might get about 800Kb upload. Let’s hope the ISP’s increase upstream speeds, although current ADSL technology has physical limitations which are another issue. I see what you mean David, but with internet speeds getting faster and faster I would say I have to disagree. I would agree if you are still in the ages of dial up or seriously slow broadband, then maybe it cannot benefit you as much, however if you have a 2mbps upload speed, it would only take you 4 minutes to upload a half gig file – 500mb in 4 mins, that’s reasonable! I have worked out that on my connection it would take me around 10 hours to upload my entire collection of pictures, dating back six years – almost 20,000 images! I think that is very reasonable, they would then be safe and accessible from anywhere. As I take new photographs, I would upload them, but it would only take a few minutes each time. I see your point David, but for the growing number of people in the world with broadband, I think cloud computing is 100% viable, and the future. I never mentioned dial-up in my note — it’s not worth considering! A typical ADSL Broadband upload speed is 448 Kbps (Kilo bits per second) if you have an 8Mb download connection. 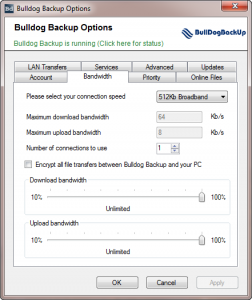 Uploading 500 MBytes on this connection will yield a typical upload speed of 52KBytes/s meaning it will take around 2 hours 45 minutes to upload. If you are on ADSL2+ the physical maximum speed of the technology for upstream is 1.3Mb/s. If you are lucky enough to be on ADSL2+M it is 3.3Mb/s upstream, but I think that is rare. I’ve always read articles about cloud computing and all. It looks complicated thought it really helps a lot. 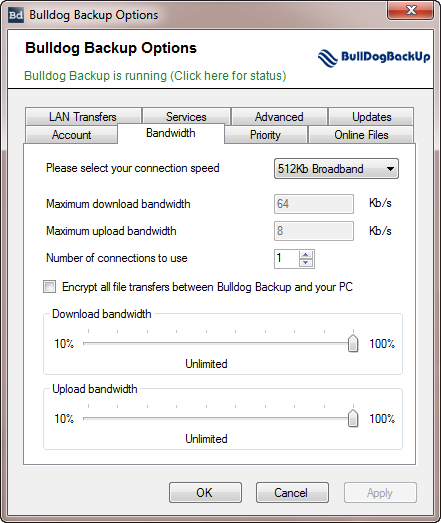 I’m thinking of having a back-up but I’m not yet sure how and what to use. Great insights, I’ll keep the thoughts. Sounds like a good offer for sure. Cloud computing is definitely the way of the future. The security and reliability advantages are numerous and the prices of such services are continuously coming down too as it increases in popularity.